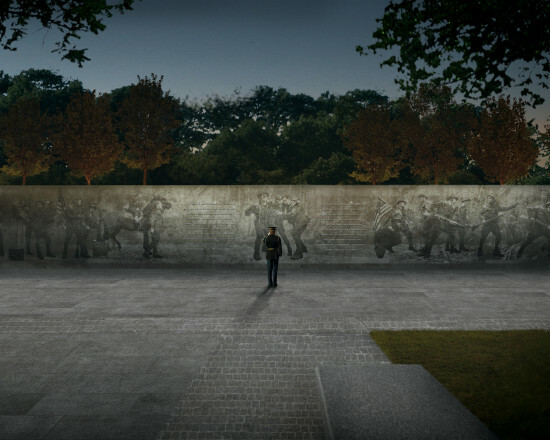 The World War I Centennial Commission in Washington D.C. has announced Chicago–based designer Joe Weishaar and New York–based sculptor Sabin Howard as the winners of the World War I Memorial Competition. 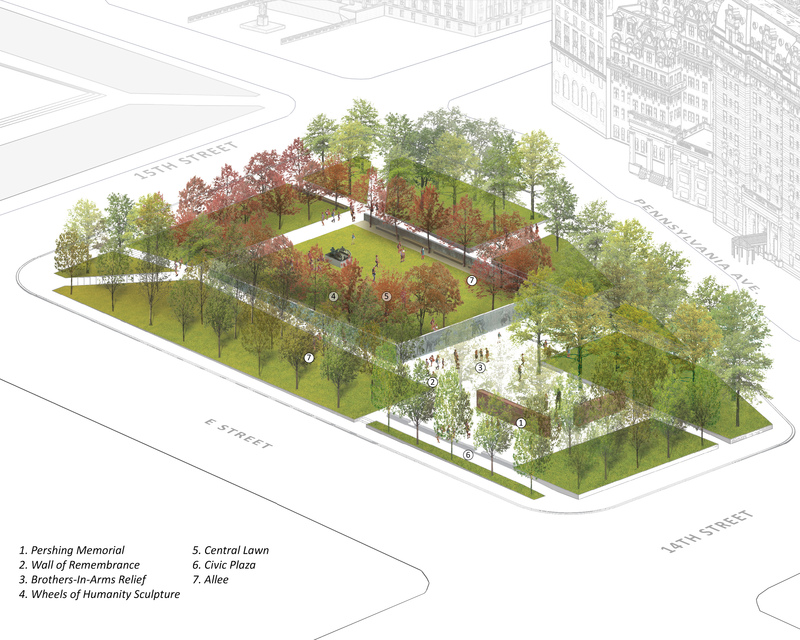 The two stage competition solicited proposals to design a national WWI memorial for the Pershing Park, which currently contains a memorial to WWI General John J. Pershing. 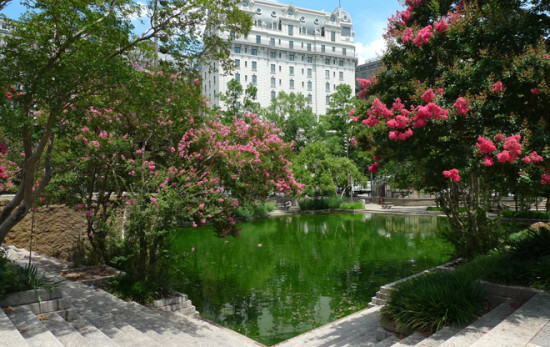 The park was designated a National WWI memorial by the federal government in late 2014, but the park was not been redeveloped to reflect this new designation. Joe Weishaar & Sabin Howard’s design entitled "The Weight of Sacrifice", was picked from five shortlisted finalists after an open competition in 2015. The winning design is comprised of a 137’ long gradually slopping wall which surrounds a grass lawn and singular sculpture. The wall, constructed of darkened bronze is animated with reliefs depicting the various roles of soldiers throughout the war. The cubic space encapsulated by the wall is also equal to that of the number of U.S. Soldiers lost in the war – one cubic foot for each of the 116,516 lost. At the heart of the project is an intent to keep the site as a public park space. The project narrative reads, “The allegorical idea that public space and public freedom are hard won through the great sacrifices of countless individuals in the pursuit of liberty provides the original design concept for this project.” The four other shortlisted offices included proposals ranging from contemporary rectilinear concepts to a neo-classical design reminiscent of a triumphal arch design. Each of the designs was guided by 10 design goals set forth by the World War I Centennial Commission. These included guidelines addressing enclosure, access, contextual considerations, and sustainability. The negotiation of what to do with the current park amenities and memorial was left up to the participants to address. The winning design proposes to keep the current General Pershing monument as it stands. Though the park has already been designated as the National WWI Memorial, the park itself has also recently been named as being eligible for listing in the National Register of Historic Places by the National Park Service. If the park achieves this designation, there would be a foreseeable conflict of redevelopment as the project attempts to move forward. The parks current configuration was designed by landscape architects M. Paul Friedberg and Oehme van Sweden.